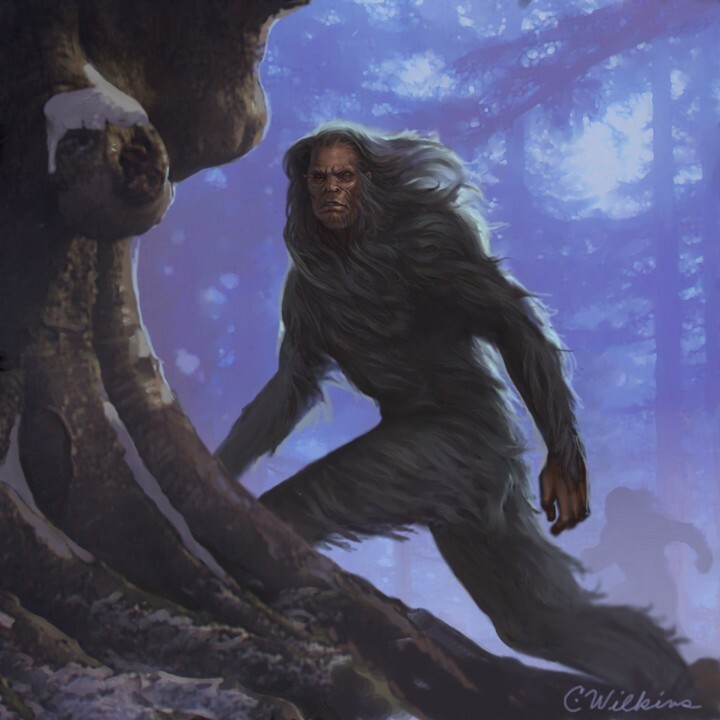 Reports of encounters with the legendary creature known as Bigfoot, Sasquatch and the Abdominal Snowman are common in the Pacific Northwest, as well as rural areas in Illinois, Ohio and Pennsylvania. 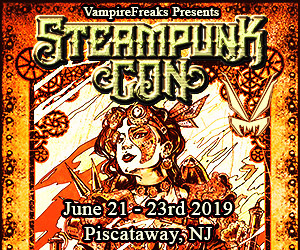 When traveling the Weird New Jersey route though, you may encounter this creature right in your own backyard…that is, if you live in the northwest section of the state, where most of these sightings have occurred. In 1975, five people reported in a local Sussex County newspaper that a large creature, about nine-feet-tall was spotted near the Bear Swamp, south of Lake Owassa in the farthest reaches of Sussex County. The creature walked upright, and was covered with shaggy gray hair. Locals who hunt and fish in the surrounding forest said that it’s possible that something like that could exist because of the remoteness of the area. According to The New York Times (9/19/76), Irving Raser, of Layton, and Charles Ames of Flatbrookville, encountered Bigfoot while examining a beaver dam 12 miles northwest of Newton. The two men claimed they first heard the growling of their dogs by the swamp. They saw the dogs surrounding a creature that was half-submerged in the water. Thinking it was a bear, they called the dogs off only to see the creature climb out of the water and stand on two feet. Mr. Raser does know a monkey when he sees one. He was the state deputy game warden for over 21 years at the time. The creature started to scream at the dogs, whacking its hand loudly on a nearby tree, and all the time keeping an eye on the two men. Witnessing this sight for over a half an hour, the men jumped into their pickup and drove to the state police in Hainesville. They returned with two state troopers and shotguns, but neither the dogs nor the creature were anywhere to be found. The spot where the creature was standing was inaccessible because of the deep water, but the state troopers found a deer carcass close by. In the state troopers’ report, they said that apparently the dogs were fighting the deer, and the earlier report must have been a mistake. 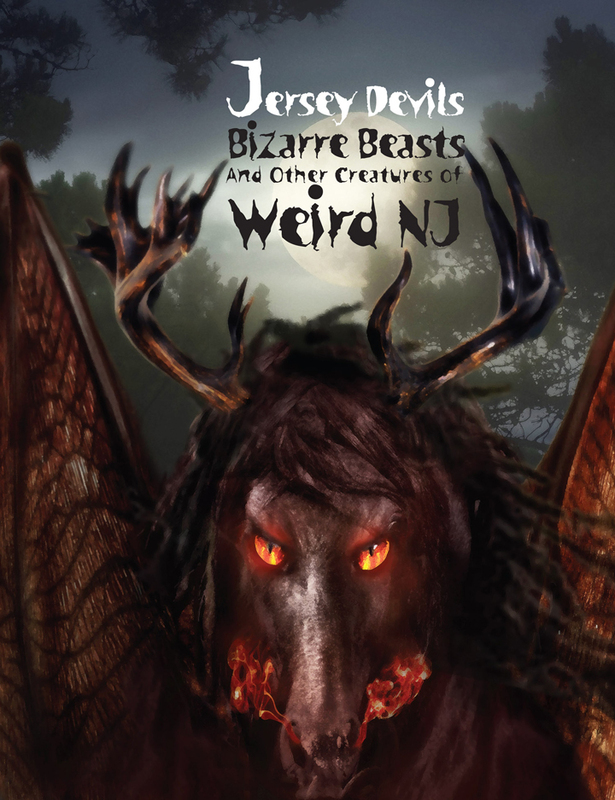 One New Jersey resident, who asked not to be identified, encountered a hostile hairy beast while camping with his friends in Sussex County in the early ’70s. “We all heard the growling, spine-chilling noise at the same time,” he claimed. “About 20 feet off our path, crouched by the brook was this creature holding a carcass of a half-eaten deer. I ran the flashlight from head to toe. It had hair completely covering its body and was about seven feet tall, and at least 375 pounds. It had on a ripped-up pair of dungarees that were probably the largest human size available. It was covered with matted blood, and smelled awful. Our first instinct was to shoot it. We got out our .22 guns, bows and arrows. We started shooting at it when it let out a blood-curdling scream and charged us. We started to run and it tackled my friend. The creature was biting and clawing him. I stopped and shot at it with my .22. The thing got up and lunged at me. It let out a howl then ran off into the woods. In May of 1977, a Sussex County farmer in the town of Wantage reported that a large brown, hairy, Bigfoot-like creature with no neck and glowing red eyes had broken down a one-inch thick oak door and killed his rabbits. Some of the bunnies’ heads were torn off, while other hares were crushed and twisted. The man said there was an unusual absence of blood at the scene. Four men waited with loaded guns the following night for the creature to return. It reappeared at dusk, was shot at, and reportedly hit at least three or four times before running away growling. Although there was an account of the wounded beast re-emerging a few days later, no carcass was ever found. Bob Warth, a member of S.I.T.U. (The Society for the Investigation of The Unexplained based in Little Silver, NJ), claims these Bigfoot-like entities may be UFO related. I am an avid hunter and I know I’ve heard creepy things out in the woods! One time, I was hunting in Passaic County with my two older brothers. It was about 7am on a brisk October morning when all of a sudden I saw some woodland creatures (squirrels, etc) scurrying about. Then it got awfully quiet, when all of a sudden I heard what I can only describe as two massive tree trunks colliding with great force. THUD! THUD! THUD!, I heard three times. Each sound was about 10 seconds apart and let me tell you, I had that shotgun in hand ready to fire at anything that came through the woods! I was absolutely petrified, then again–THUD! THUD! THUD! THUD! This time I heard it 4 times, only closer. So close, as a matter of fact, that the ground beneath me was shaking and accompanying the THUD sound was the sound of breaking branches. I ruled out the possibility of a bear, because black bears are very timid and could never create such a noise, nor could it have been a woodpecker working on a tree–no way would that ever make the ground shake. My brothers were about 200 yards away and didn’t seem to notice the noise. After about three minutes of this eerie sound, it ceased. Nothing in my life has ever scared me so much as that. I never actually saw anything, but I’m convinced it was some kind of bigfoot creature. After our unsuccessful day of deer hunting, I went to the spot where I thought the sounds were coming from, which was directly in front of my sitting position about 70 yards ahead. I saw no footprints or any kind of trace of anything, but what I did see scared the hell out of me. There were broken branches and small trees broken and another tree torn out by its roots! It was all fresh damage because the breaks in the trees had not turned brown yet. This damage was done very recently, and there is no way in hell a black bear could have done this. I would say that there were about five broken trees and they were anywhere from three to six inches in diameter, and the tree that was torn out by its roots was about ten inches in diameter at the base. Needless to say, when I saw this I got the hell out of there in an awful hurry! I really regret not staying and examining things a little further, maybe I could have found something to give me a clue as to what exactly it was that was making that God awful racket. But in my mind, I know what it was. –Jeff S.
A Bigfoot-like entity has been seen in the regions of Somerset County, including the Great Swamp area and the Somerset Hills. 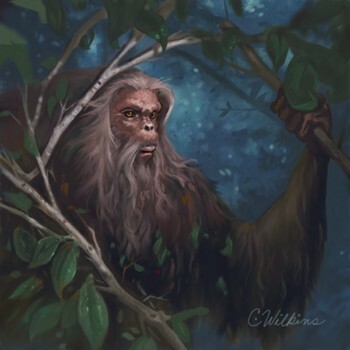 The locals call it “The Big Hairy Man,” and he has even been spotted as far away as Hillside. According to eyewitness reports The Big Hairy Man stands about eight-feet tall and is covered with hair the color of a deer’s. 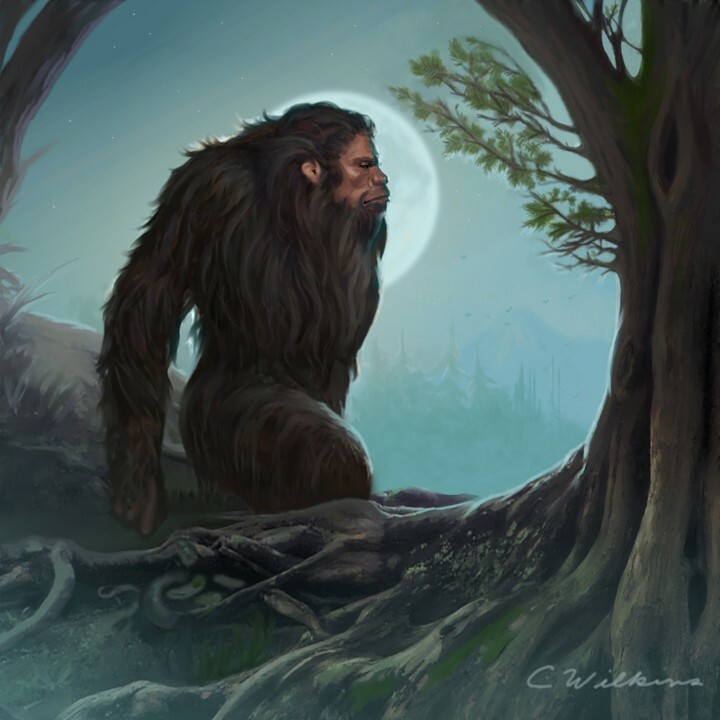 He walks upright with a human gait, according to a bone specialist and a physical therapist who encountered the Big Hairy Man while taking a short cut through the Great Swamp on Lord Stirling Road in a hurry to reach the airport. They claimed the Big Hairy Man walked in front of their car and hopped the fence alongside of the road. They could not see his face because he (or it) was looking down. These sightings, according to the Folklore Project in Bernardsville, have occurred for many years. All illustrations by Cathy Wilkins. 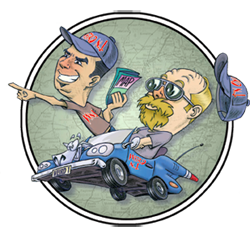 You can read about NJ’s other legendary big hair humanoid, the “Big Red Eye” HERE. 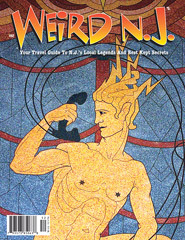 For more stories of Bigfoot and the Big Red Eye, see our book Weird NJ: Your Travel Guide to New Jersey’s Local Legends and Best Kept Secrets. This entry was posted in Bizarre Beasts and tagged Bernardsville, big foot, bigfoot, sasquatch, somerset county. Bookmark the permalink.